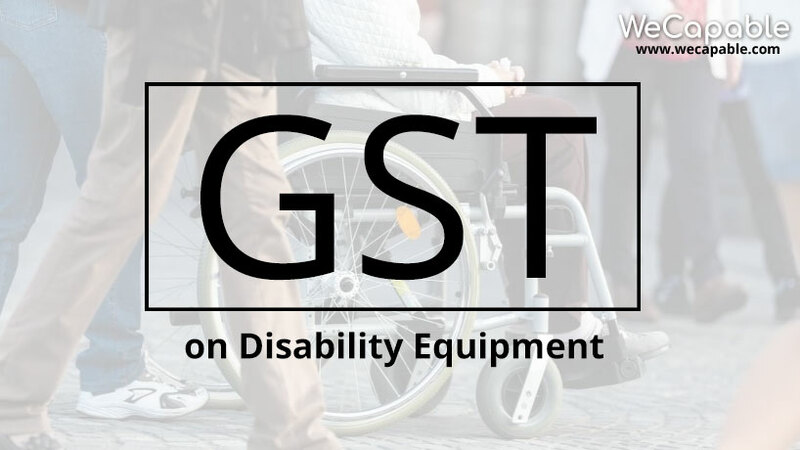 We are presenting a list of disability equipment and GST tax rates applied on them. Know the GST tax rate on products like Braille books, wheelchair, crutches and artificial limbs etc. Finally GST becomes reality! This indeed is a great change in India’s tax structure. Such a big change can not come silently in a vast country like India. And the government of India too left no stone unturned in creating the hype. It was all planned to give GST a bang on dramatic entry and so it was rolled out at the struck of 12 at midnight… the same time we got Independence. GST took a Bollywood style entry despite all protests and restrains. Whatever the result be, GST has already created a lot of commotion during last two months. Different financial analysts have differing stand on the pros and cons of GST. Different communities of traders, politicians and consumers have differing demand and expectations out of GST. All these communities tried to be vocal about their demands in their own unique ways. 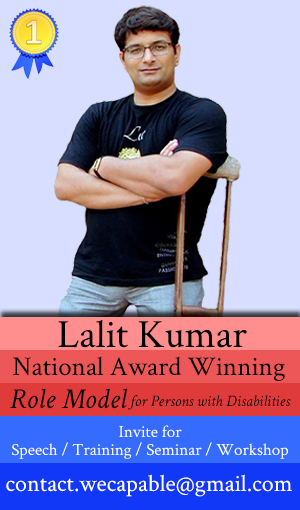 One such voice came from the persons with disabilities. Different organizations working for PwDs, the disability advocates, activists from the disabled community — they all demanded a complete roll back of GST for the community. It was being demanded on the ground that charging tax on equipment like hearing aid, wheelchairs etc. is equivalent to taxing an individual on hearing and walking. It was logically said that tax on Braille typewriters, books etc. is contradictory to the ‘education for all’ motto of the country. These demands reached the government of India and they didn’t completely ignore them. GST rates on the equipment used to compensate one or the other kinds of disabilities were revised in the subsequent meetings of the GST Council. The tax rates were decreased but not completely taken off on most of the items. The revision of tax rates didn’t satisfy the activists as they were asking for complete waiver rather than lower rates. They kept on demanding and the GST got implemented in its final form. Now there are lots of confusions among general public regarding the GST tax rates on the disability equipment. In this article we are sharing the GST rates on the disability equipment that got rolled out on 1st July 2017. Disability rights activists are still trying to get GST waiver but unless the government accepts and announces the waiver these rates would be prevalent in the consumer market. It is notable that tax rate on disability equipment has been revised even after rolling out of GST on 1st July 2017. A press release by Ministry of Finance India, dated 4th July 2017, states that most of the specific devices used by physically challenged persons have been fixed at 5% GST. However there is no mention about the 12% and 18% slab rates that were applicable on some items according to the GST rates that were introduced on 1st July. According to the final GST rates, Braille Books will be taxed at 0% i.e. they are exempted from any tax. This has been welcomed with enthusiasm as this ensures equal right to education for the visually challenged students. However there still exists a debate on the matter as Braille papers are still under the 5% tax slab. Charging tax on Braille papers would automatically make the books costlier. Instruments and implants for severely physically handicapped patients and joints replacement and spinal instruments and implants including bone cement. We hope that this article was useful in clearing some of your doubts about the GST rates on disability equipment.